In much of Southwest Louisiana, alligators outnumber people, residents still live off the land to an impressive degree, and local cuisine is well-loved and much applauded. In fact, the Lake Charles, Louisiana area features a type of southern cuisine not experienced anywhere else. 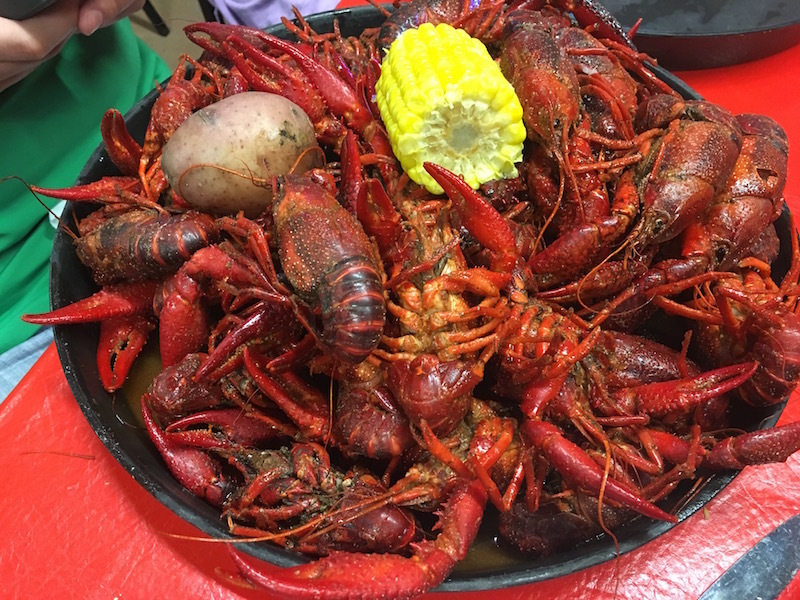 From cracklins to boudin to crawfish boils, SW Louisiana’s authentic cajun food is truly an attraction in its own right, and worthy of your time during any trip to the region. Seafood Palace: You can tell Seafood Palace is a local favorite by the packed parking lot just about any day of the week. Their specialty is probably their boiled crawfish baskets in season (spring, primarily), but they also serve boudin, oysters, shrimp, catfish…you name it. Disclosure: I experienced the above restaurants as a guest of Lake Charles, for the purpose of review. All opinion remains my own.